President Nana Addo Dankwa Akufo-Addo has pledged his commitment to making Accra the cleanest city on the African continent within the next four years. Amongst others, Oblempong Nii Kojo Ababio urged President Akufo-Addo to take urgent steps to modernize Jamestown, a move, he noted, would ramp up economic activity and bring in its wake jobs and wealth for the people. 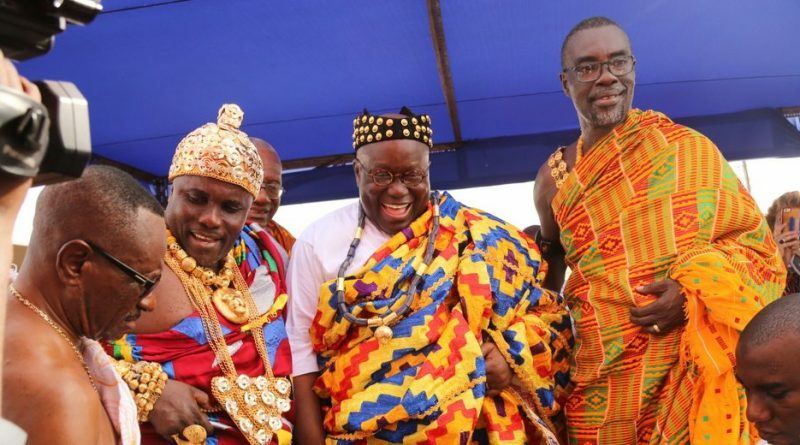 On his part, President Akufo-Addo was grateful to Oblempong Nii Kojo Ababio and the Chiefs and people of the Ngleshie Alata Traditional Area for the honour done him.